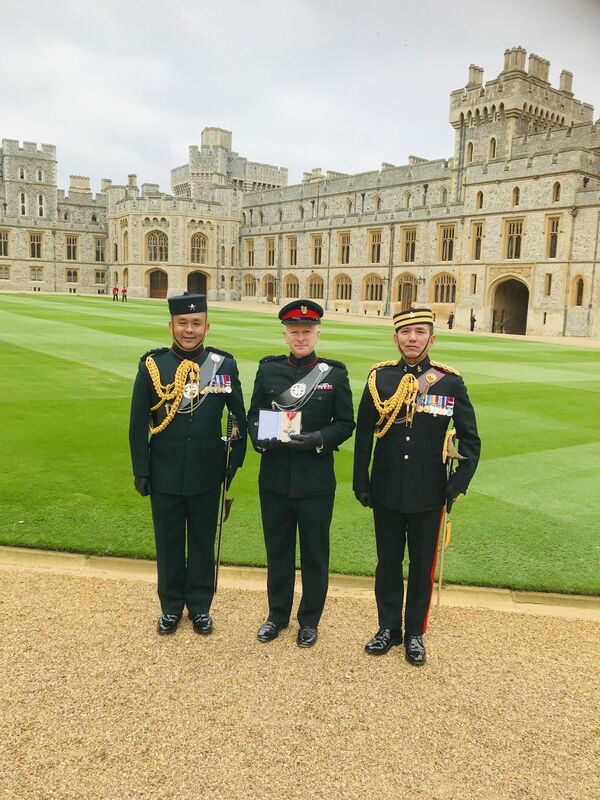 On the 22nd March 2019, Colonel J G Robinson, current and long serving Colonel Brigade of Gurkhas, was presented the Commander of the Most Excellent Order of the British Empire (CBE) by Her Majesty The Queen. Throughout his unparalleled six-year tenure, he has made an immense contribution to the Colours. He advises CGS and Ministers on Gurkha matters and manages the practicalities of issues as far back as the 1947 Tripartite Agreement with India and Nepal through modern immigration policy for Nepali citizens with family connections to British Gurkhas. 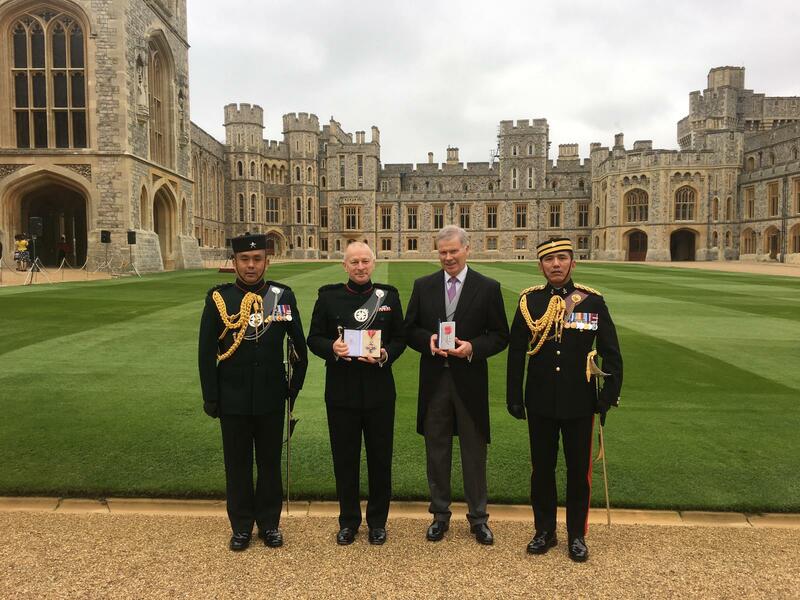 In 2015 he oversaw Gurkha 200, the bicentennial of Gurkhas in the British Army. 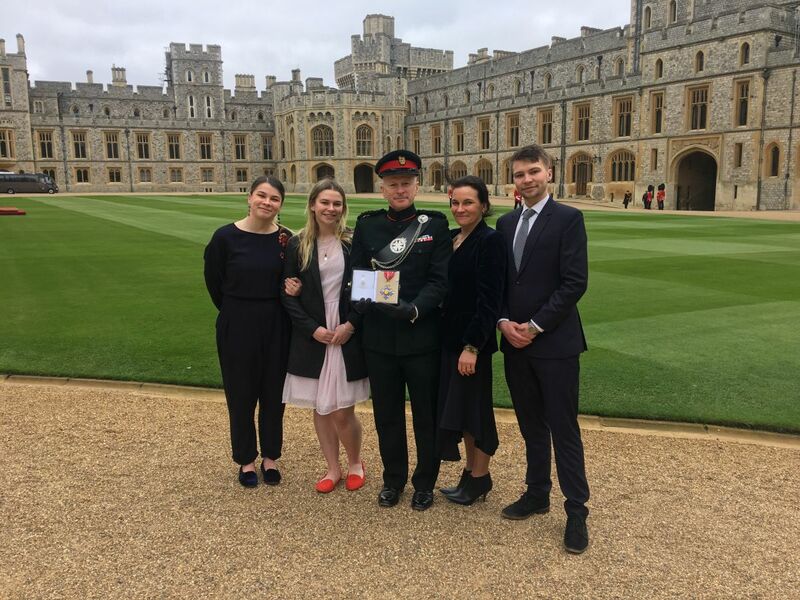 He has worked tirelessly to reinforce the esprit de corps of the Brigade and ensure that it is able to give its absolute utmost to the Army. He has demonstrated extraordinary ability, vision, capacity and resilience, as well as results, well above what should be expected, and on sustained basis.